Spring Fever & BCGRA Contest! 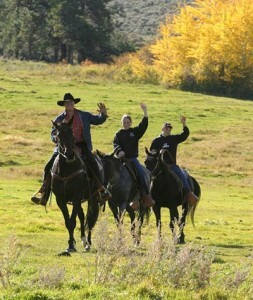 It’s that time of year for guest ranches throughout Canada, and they are gearing up for the 2012 season. Most of the ranches will open their doors to guests from mid to end of May, before then there is a lot of preparation that takes place. 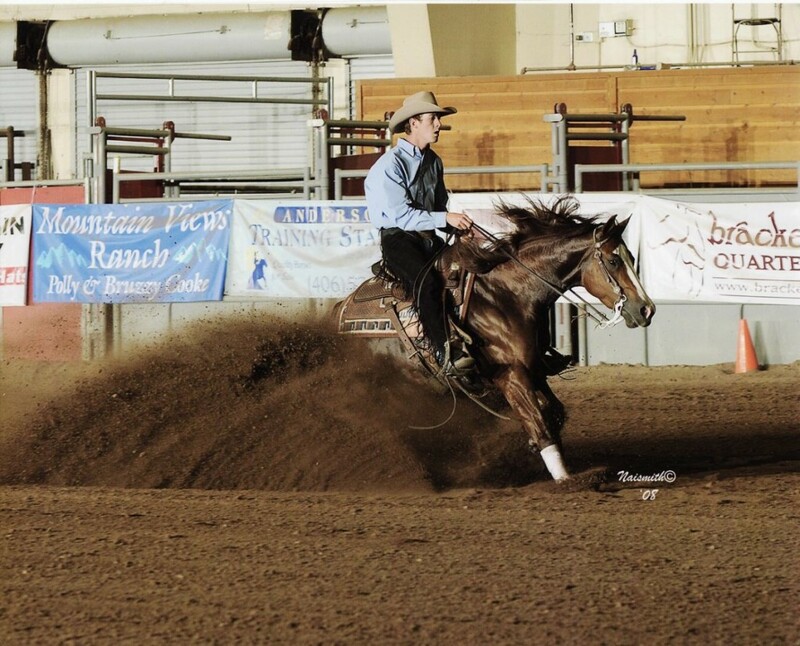 If you have vacationed at a guest ranch, then you know there is a lot that goes into making a ranch run smoothly and keeping them in working order. Even with a blanket of white snow, spring cleaning begins. 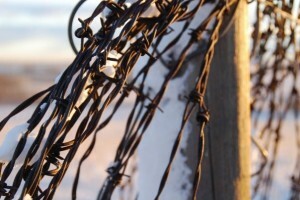 Fences are inspected and tended to accordingly. Once accessible, trails will need to be checked for any fallen trees or change in footing. For the working ranches, fields are becoming speckled with little black or brown calves, and for some small foals are not far behind – a sign that spring is just around the corner. Around the first of May, all those calves will need to be branded. 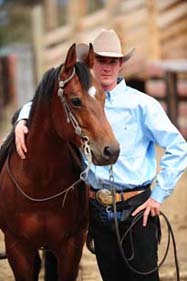 Several ranches offer vacation packages allowing guests to get in on the branding fun. The horses all need to be vaccinated, and checked over before open season. Their teeth are floated to remove all sharp points, making sure they get the best from their food. 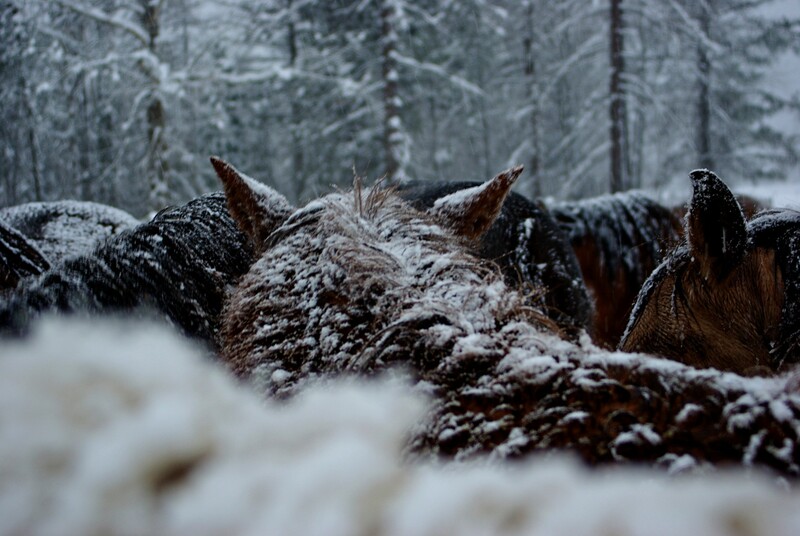 Any horses with long hooves are trimmed and their coats, manes and tails are inspected for burs they may have accumulated from being turned out to pasture over the winter months. Any last minute staff hiring will be done and lodges and cabins will be cleaned and set up for the arrival of the first guests. Once staff arrives at the ranch, they will be put through weeks of training before guests arrive, in order to provide the best service and vacation. 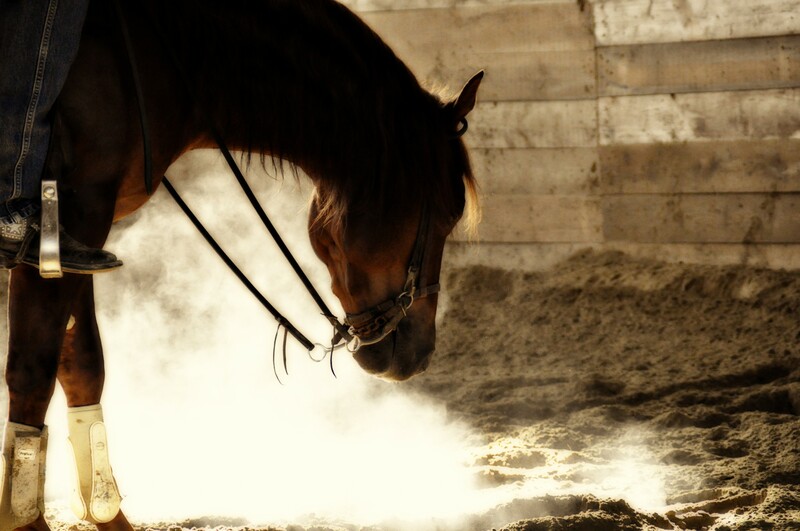 There’s a lot to get done over the next month and a half in preparation for the 2012 season and the ranches of Canada are all looking forward to meeting new guests and doing what they love best – sharing the western lifestyle. Want a chance to stay at a beautiful and adventurous guest ranch? Here’s your chance! 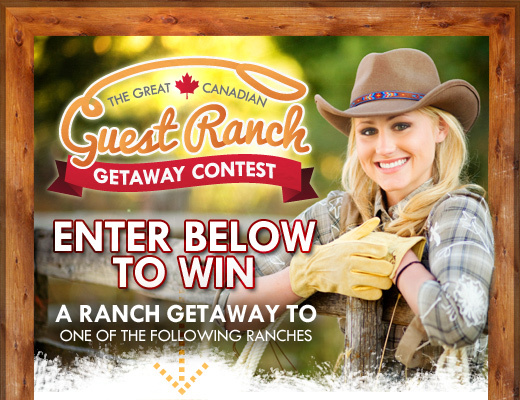 The BC Guest Ranch Association (BCGRA) launched their “Great Canadian Guest Ranch Getaway Contest” and, at its close, 12 entrants from around the globe will have won once-in-a-lifetime getaways to some of beautiful British Columbia’s most exciting guest ranches. This unique contest, which boasts an accumulated prize value of more than $30,000, is taking place online via the association’s Facebook Page, and is comprised of six rounds. Every two weeks, a new round will begin and two new prizes will be up for grabs – that’s two guest ranches and two winners! Winners will receive all-inclusive stays at one of the BCGRA member guest ranches. Some of the activities they might enjoy while they visit include horseback riding, world-class fishing, and riding the range on a working cattle ranch. Whether they’re looking for pristine nature, rest and relaxation, or thrilling adventure in the wilds of B.C., they’ll find it there. People are entering the contest via the association’s Facebook Contest Page and have been asked to provide, along with their contact details, short but creative explanations as to why they think they’re the most deserving of the prize. The winners will be those entrants who’ve successfully convinced the BCGRA judges that they deserve a stay at one of the province’s best guest ranches. Making the contest even more exciting is the fact that people can enter more than once! At the end of each round, eager entrants who entered but didn’t win can enter again! The BCGRA is a non-profit organization that represents over a dozen BC Guest Ranches. 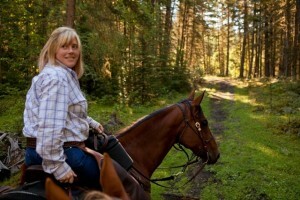 Says BCGRA: “From horseback riding, world-class fishing, wilderness retreats to western family vacations our members offer a diverse selection of BC’s best.” And this contest promises to show the world (and especially the winners) just what it means to leave behind the hustle and bustle of life and escape to the wilds of beautiful BC. 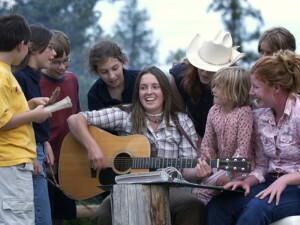 For more information about the BCGRA and the Great Canadian Guest Ranch Getaway Contest, visit the association’s website at www.bcguestranches.com or Facebook page at http://www.facebook.com/BCGuestRanchers. Alternately, feel free to call the BCGRA and contest organizers directly at (250) 593-0258. Posted in Press Release | Comments Off on Spring Fever & BCGRA Contest! I don’t know about you, but when I’m on vacation, half the appeal is eating great food everyday that I don’t have to cook. I’m about quality not quantity. 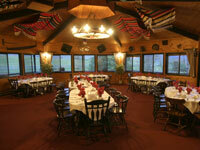 The dining at Siwash Lake Ranch is like no other. Guests sit around the table for a delicious meal where they interact and share their life stories. At mealtimes, you’ll be delighted with delicious cuisine and great fellowship in their cozy 20-seat main dining room. Hand-hewn log walls, a rich fir plank floor, casually elegant furniture and candle light combine for a wonderfully warm dining ambiance. Tables vary from large group and family size, to intimate window settings for two that overlook wild bird feeders and horse pasture. At Siwash, you will start your day off with a wake-up tray that is placed at your door, brimming with home baked muffins and your choice of freshly brewed tea or coffee. Canadian breakfasts in the dining room are hearty, and lunches, served outside whenever possible, feature nourishing homemade soups, pastas, salads, and breads. 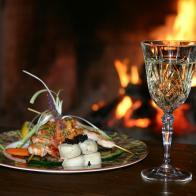 Later, enjoy chef’s daily hors d’oeuvre, presented on the sun deck or fireside. Dinners are three-course, culinary adventures infused with international flavours. The ranch offers outstanding gourmet meals, prepared from the best seasonal ingredients and served with Siwash-style flare. Whenever possible, they incorporate organic food produced on the ranch — mouth-watering beef and pork, free-range eggs, and baby greens for your salads, picked right from our garden. 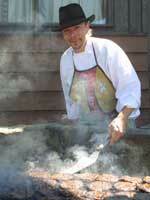 Regional British Columbia cuisine, featuring wild trout, salmon and venison are our specialty. Siwash Lake Ranch uses their own fresh garden greens. If you’re a true romantic at heart and want to treat your honey, Siwash offers in-suite and alfresco dining in the meadow or on a private balcony is a special treat for couples taking romantic holidays. Reconnect and restore your passion for life at Echo Valley Ranch & Spa. ECHO VALLEY — Nestled in the heart of British Columbia’s spectacular cowboy country, nature has created the perfect setting for a world-class spa and one of the world’s premier eco and soft-adventure ranches — the perfect place for couples to reconnect and restore their passion for life. Echo Valley Ranch & Spa is set in a wilderness setting where you can connect with yourself, partner and nature. The minute guests arrive at Echo Valley Ranch & Spa they sense the magic of being surrounded by incredible beauty, wide-open spaces and tranquil wilderness. Those who come for the luxurious spa soon realize they have found a sanctuary for care and inner harmony. The world-class Baan Thai spa pavilion provides a special place for rejuvenation and serenity. Professional Thai therapists perform spa treatments for the care of mind, body and soul derived from ancient Thai wisdom. The Baan Thai and the Cariboo spas include a full range of Western as well as Asian spa therapies. These include facials, herbal aroma therapy massages and steam baths, hydrotherapy, body wraps, manicures, pedicures, and of course – Echo Valley’s signature Thai massage, where stretching and applied pressure to points along your sen lines free up energy flow throughout your body. The magnificent Baan Thai offers a unique spa experience, including the soothing effects of herbal steam treatments and an herbal oil massage combined with the rejuvenating qualities of our luk pra kob (herbal bag). Experience other Thai therapies such as kud rang guy (herbal body scrub), nued nha (Thai facial using hands only) and pog rang guy (herbal wraps). Herbal bag treatment at Echo Valley Spa. The spa at Echo Valley is an integral and important part of “well-being of mind, body and spirit.” It complements the ranch’s other soft adventures, which include horseback riding, hiking and fly fishing. Relaxed, refreshed and enlightened, guests leave Echo Valley with a restored passion for life and in anticipation for next year’s visit. Ranching in BC This Summer Means Wild Open Spaces, a range of outdoor experiences and all the horseback riding you can handle. Vancouver, BC Feb 26, 2010 – British Columbia has truly perfected the art of guest ranching. For generations, BC’s guest ranches have been offering the experience of the ‘western way of life’ – from sleeping under the stars to high end luxury accommodations that allow guests to experience real life on a ranch. Ranchers provide their guests with a new appreciation for connecting with nature through the amazing land that is their backyard during their ranch stay. From cowboy-inspired dude ranches and sophisticated wilderness luxury to family friendly experiences, these guest ranches focus on riding with horsemanship lessons, cattle drives, wilderness pack horse excursions and leisurely paced rides in unparalleled beauty. There are also lessons in bear and wilderness survival, guiding, organic gardens and the simple pleasures of relaxing in rustic and luxury surroundings. These guest ranches are just a few of those available this summer offering an adventure that will truly take guests away from their everyday. Rugged ranges, vast plateaus, tucked away lakes and ocean lapping at wild west coast line – this is the setting of 14 of the most incredible guest ranches of British Columbia. All members of the BC Guest Rancher’s Association (BCGRA) established in 1985, live up to their mantra of, “A Vacation of A Lifetime”. They are mainly located in the Chilcotin Cariboo and the Thompson Okanagan regions of this most westerly province in Canada. 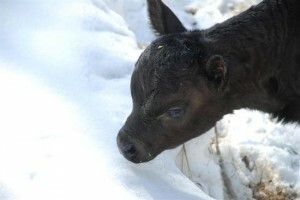 CRANBROOK, B.C., January 27, 2010- For three generations, Three Bars Guest & Cattle Ranch has captured the imagination of guests by delivering enduring experiences of life on the range. 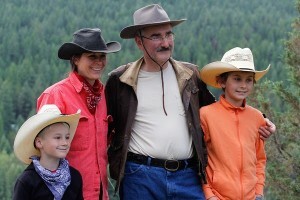 This summer, Three Bars is putting the challenge out to guests, to help capture their guest ranch adventures, with the launch of the Three Bars Ranch 2010 Summer Video and Photo Contest beginning July 4 through to August 21, 2010. 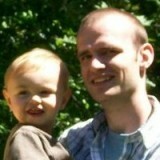 All summer long guests are invited to capture their vacation through images or video. 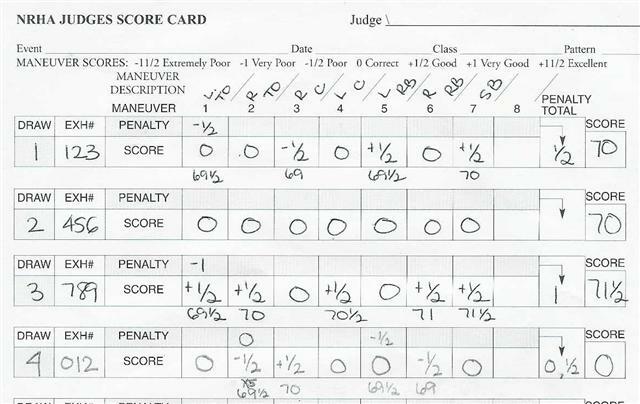 Entries will be uploaded on the ranch website for everyone to see. 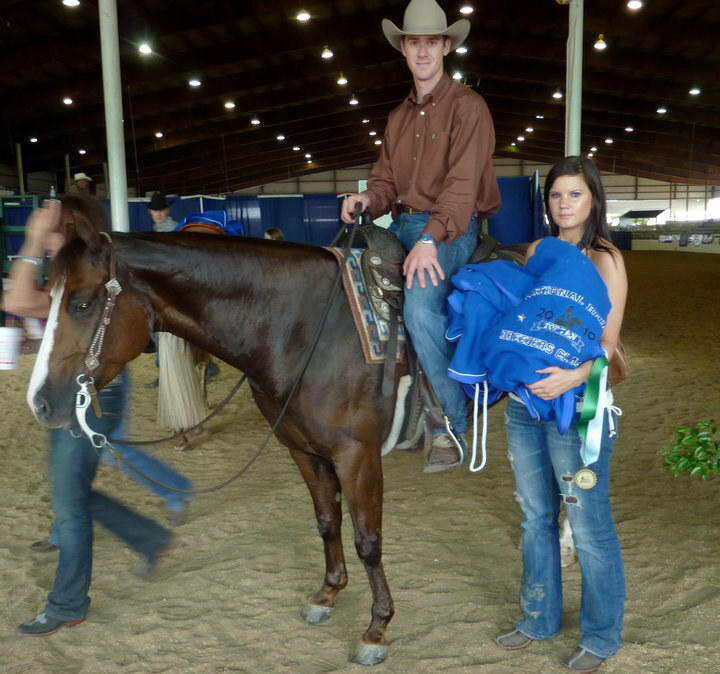 These entries will be judged on how well they portray the true guest ranch experience. The grand prize winner will be awarded a guest ranch vacation at a partner ranch: the White Stallion in Tucson AZ. The all inclusive three night stay prize package is valued at $1260 USD. 70 Mile House, British Columbia, December, 2009: Cowboys and carbon footprints haven’t always gone hand in hand, but for Siwash Lake Ranch located in British Columbia’s Cariboo region, wrangling the most progressive clean energy technologies is just as integral to the resort as wrangling horses, fly fishing for rainbow trout or tracking black bear, coyotes and cougars. Already a leader in sustainable tourism operations and recently rated by the Globe and Mail as one of Canada’s top eco-friendly luxury destinations, Siwash Lake Ranch is currently completely overhauling its entire off-the-grid power system. Remote businesses like the ranch have typically depended upon diesel electric generation to provide power to their operations. As part of their ongoing commitment to reduce their eco-footprint, the Siwash Lake Ranch is eliminating over 90% of their fossil fuel energy production by installing a Solar Power Plant which will be their primary source of clean, renewable and reliable energy. 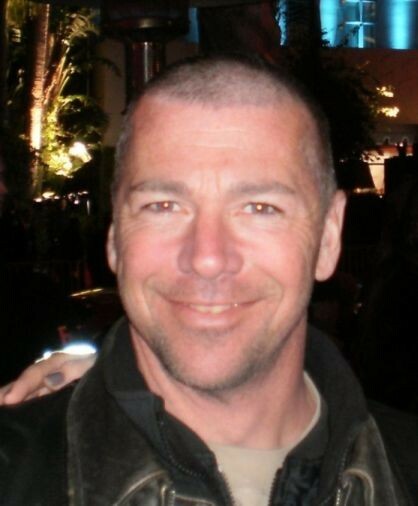 They have chosen to work with another BC small business, Victoria- based, EA Energy Alternatives Ltd., who are leading the way with the technology systems design and installation. The installation features a state-of-the-art solar photovoltaic system for electricity creation and also includes a retro-fit of the hot water heating system, along with new technology to capture excess energy from heated water. The ranch is also switching from gas powered to solar powered pumps for irrigation and other water systems. To learn more about their comprehensive sustainability program, and for a list of their land stewardship initiatives and their daily best practices, please visit www.siwashlakeranch.com/site/sustainability.html. 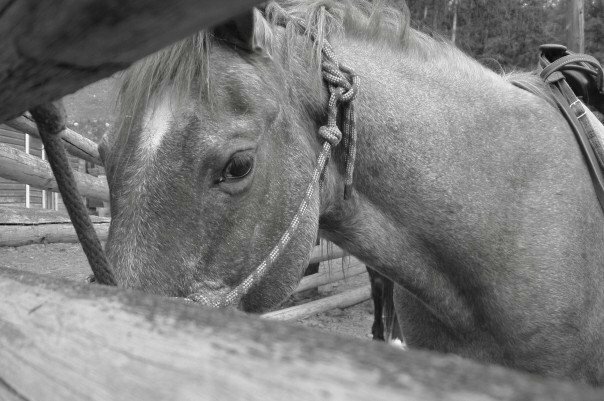 Siwash Lake Guest Ranch in BC, Canada, is truly one of the world’s premier luxury dude and guest ranches, surrounded by 80,000 acres of pristine British Columbia wilderness. Wildlife thrives there among their natural grasslands, forests, lakes, and rivers. This remarkable, eco-friendly setting provides a refreshing oasis of wilderness solitude, filled with enriching moments for adventurous people who seek the finer things in life. 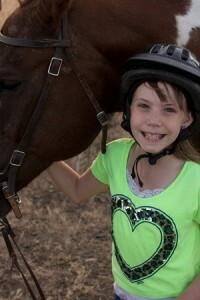 The year 2010 will mark the ranch’s 10th year of operations as a nature-based tourism business. In addition to the recent Globe and Mail rating, Siwash Lake Ranch was the only Canadian ranch to make the Forbes Traveler “Top Ten” list of Luxury Dude Ranches in May 2007. The ranch has a rating of four-and-a-half Stars with Canada Select and has garnered an Eco-rating of Five Green Keys, the highest rating available, with the Hotel Association of Canada. Siwash Lake Ranch was nominated for a 2009 Tourism Industry Award for Environmentally Responsible Tourism and was selected by the Ministry of Agriculture to help market its Fields for the Future campaign. This project will help the BC government promote improved ways of producing and using energy in BC’s remote off-grid communities and rural residences. It will further the production of local, clean and renewable energy to reduce diesel electric generation and will focus on the use of advanced solar heating technologies, and electricity self-generation, for “net-zero energy” buildings. 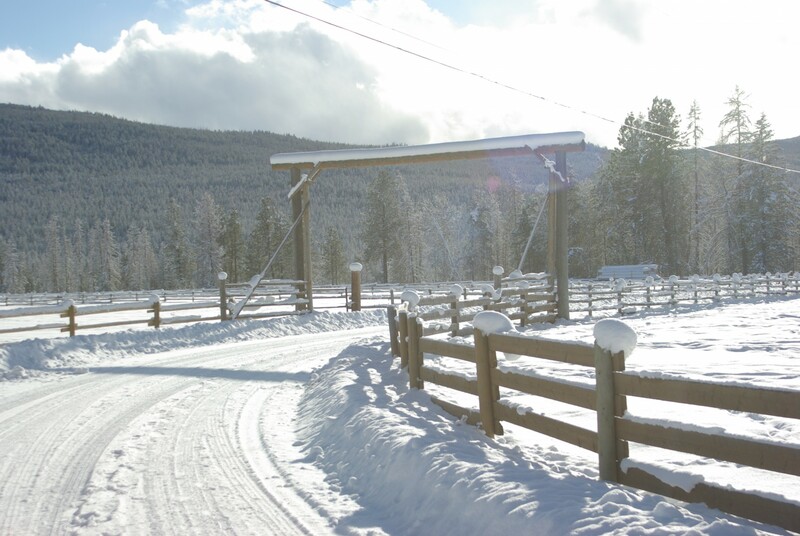 The Siwash Lake Ranch is well poised to help promote sustainable practices in BC. The place is ideally situated for a demonstration site and will open as such within a year of the technology being installed. A handbook for retro-fits will be designed for end-users, and the ranch will also facilitate educational workshops. With nature-based tourism as one of BC’s leading industries, Siwash sets the perfect stage for displaying the province’s green legacy. 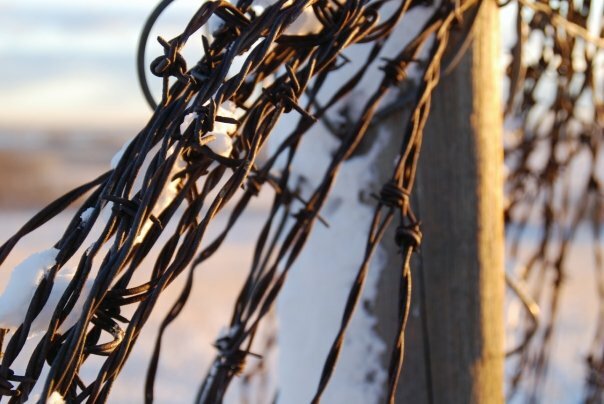 As an internationally-renowned, high-end tourism operation, the ranch will showcase, worldwide, the BC government’s target “electrical self-sufficiency for 2016”. By providing a shining light example for small businesses, BC’s tourism industry and agricultural community; for rural residents in the province, the goal is to help demonstrate to fellow British Columbians that clean energy is accessible and viable for all of these sectors. The ranch is currently seeking sponsors for the educational phases of this project. 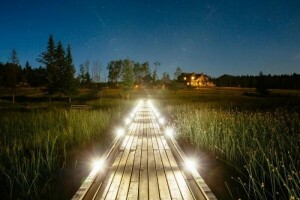 For more information, please email moc.hcnarekalhsawisnull@ofni or visit www.siwashlakeranch.com.